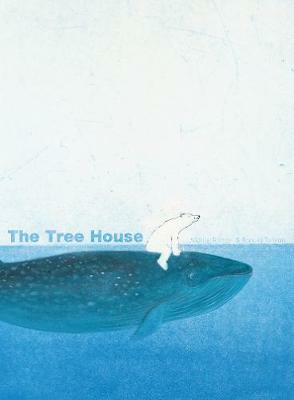 Pure picture book magic A polar bear rides a whale to a tree rising out of the water. At the top of the tree is a tree house. He's joined by a brown bear in a boat. The bears find that the tree house is the perfect place to read. When the water recedes, they are joined by flaming os, panda bears, and other animals that arrive by land and through the air. The tree house is a place of wonder, where a brown bear catches snowflakes in a butterfly net. Artists Marije Tolman and her father, Ronald Tolman, bring their unique vision to this astonishing wordless picture book.